Jamal Abedi is a Professor of education at the University of California, Davis and a research partner at the National Center for Research on Evaluation, Standards, and Student Testing (CRESST). Abedi's research interests include studies in the areas of psychometrics and test and scale developments. His recent works include studies on the validity of assessments, accommodations, and classification of English language learners (ELLs) and opportunity to learn for ELL students. Abedi is the author of many publications in the assessment of and accommodations for English-language learners. 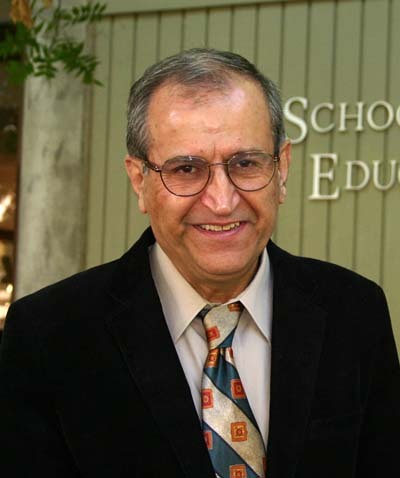 He serves on assessment advisory boards for a number of states as an expert on testing for English learners, Abedi is the recipient of the 2003 National Professional Service Award in recognition of his "Outstanding Contribution Relating Research to Practice" by the American Educational Research Association. He is also the recipient of the 2008 Lifetime Achievement Award by the California Educational Research Association. He holds Master's and PhD degrees from Vanderbilt University in Psychometrics.